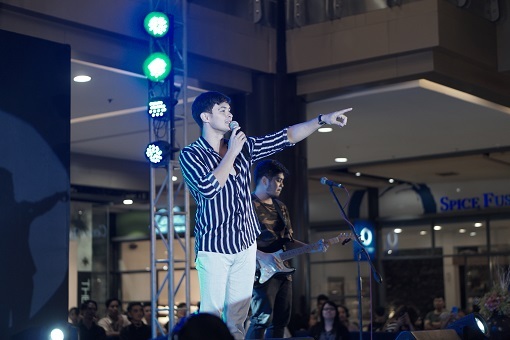 Uratex Foam introduces its newest brand endorser, Matinee idol Matteo Guidicelli at SM City Cebu and also launched Uratex's newest TV commercial with Guidicelli through a special preview. The new Uratex TV commerical goes “When I first met you, I knew you were The One for me. Kumportable ako sa ‘yo. Sa ‘yo ko lang na-feel ito. 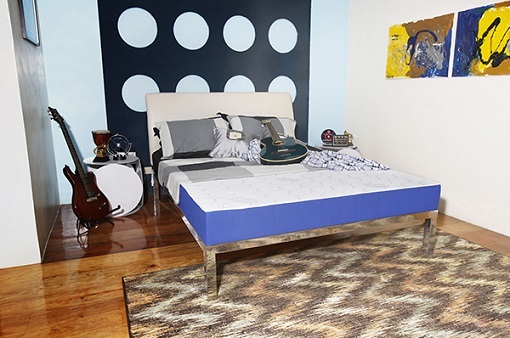 Ikaw lang ang perfect para sa akin,” Guidicelli swoons while caressing his Uratex Classic Mattress and pillow. Matteo as a busy performer, influencer, and fistpiration, has now found his perfect sleep partner in Uratex. Uratex is a brand that provides quality sleep comfort and support without breaking the budget. The innovative Uratex Airlite Cool is formulated with Sleep Cool Technology that effectively lets air flow freely. Known for its breathability, its side panel uses 3D Spacer fabric so you feel refreshed while you sleep. The makers of Uratex - Polyfoam RGC International Managing Director, Peachy C. Medina explains Uratex has been helping generations of Filipino families sleep soundly and wake up refreshed. It’s a legacy that Uratex are proud of and inspires them to bring in the best technology to provide the best sleep solutions. Each Uratex product is manufactured with five qualities and technologies that ensure all foams the company produces are of high and world-class quality: ISO 9001 Accreditation, State-of-the-Art Equipment and Machinery, World-Class Formulation and Process Engineering Technology, and Usage of Best Raw Materials. Collectively, it is called Uratex's Quali-5 Cellular Technology. Uratex Philippines Marketing Director, Cherry Wong-Tan talks about ‘The One for Uratex’ campaign that Uratex wants the people to appreciate and instill in their minds the value of sleep. People are too focused on work that they neglect to get proper sleep. Some are sleep-deprived, that’s why they can’t perform well the next day. Even children need to sleep well, in a healthy position, to perform well in school. Uratex Classic Mattresses is on display during the launch for mall-goers to admire and eventually buy. Among the impressive selections of the line are the Uratex Airlite, Edge mattress, and the newly launched Ivory Dreams pillows. 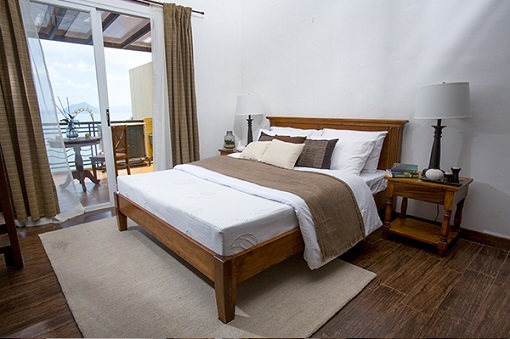 Uratex long time partner SM Home will transform the busy North Wing of SM City Cebu into a bedroom showcase. SM Home Assistant VP of Marketing Tom Castaneda said they are so honored and humbled that Uratex has chosen to begin the celebration of the company’s momentous milestone with SM Home. Uratex has always been a strong and reliable business partner, they congratulate them for continuing to serve as a leader in the production of high-grade quality foams and as SM is commemorating 60 years in the retail industry, they join Uratex in what's turning out to be an exciting double celebration to both brands continued partnership for many more milestones to come. Uratex is set to open three new factories in Butuan, General Santos and Bacolod this year, raising the total to 21 nationwide. Its 13th showroom will open in Mandaluyong. Uratex has been awarded as Reader’s Digest Platinum Trusted Brand for Mattresses for the Household Products Category. Also a valuable ally of the the Philippine Orthopaedic Association, and a member of the International Sleep Products Association (ISPA), which is recognized worldwide as the professional organization and voice of the sleep products industry, representing health and wellness facilities, and providers globally. 0 comments: on "Matteo Guidicelli is Uratex's Newest Brand Ambassador"